This Hollywood Area tavern, which exudes character, is on the market for the first time 30 years! The bar is ideally located to cater to its loyal following of local hipsters, entertainment industry veterans, and commuting revelers who enjoy its unwavering, tavern chic demeanor. The bar offers liquor and has no food requirement (nor a kitchen), billiards, and jukebox music (no dancing). Location and Facilities: This 1,400 square foot facility leases for $4,000 per month on a lease until June 2016 with one 5 year option. The sale includes all of the bars furniture, fixtures, equipment, leasehold, goodwill and Type 48 Liquor License. Official occupancy is to be determined, however, the venue has a squeaky clean track record with the ABC and local authorities. 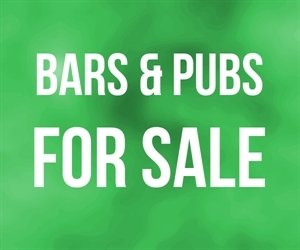 Market Information and Position: New owners may seek to take this venue in a number of different directions, as it is the quintessential Type 48 Bar / Tavern that is so highly sought after. Competition: This bar occupies a very unique location and is the only Type 48 Liquor License (no food is required to be served) of its kind in the immediate area. As such, it possesses a sustainable competitive advantage that is impossible to match in the bar vicinity.